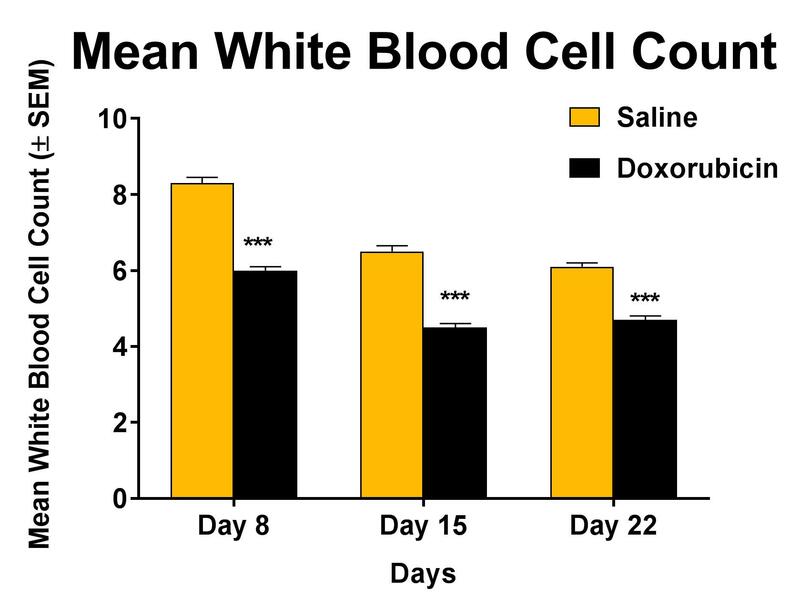 Cytotoxic chemotherapy drugs can lower cell levels in the bone marrow, resulting in abnormally low number of cells in the blood, a condition called myelosuppression. The effects of myelosuppression are anemia (low red blood cell counts), neutropenia (low neutrophils counts), leucopenia (low white blood cell counts), and thrombocytopenia (low platelet counts). Cancer patients may experience one or more of the following types of symptoms due to the myelosuppressive side effects during chemotherapy treatment: Fatigue due to anemia, infections due to neutropenia and bruising and bleeding due to thrombocytopenia. These symptoms generally resolve after the completion of chemotherapy, however, for some patients, they are severe enough to cause a reduction in dose or a break in treatment. When reductions and breaks in therapy occur, the chances of an increase in cancer recurrence increase; consequently, agents that reduce myelosuppression in patients undergoing cancer chemotherapy decrease the probably of a reduction or break in therapy and therefore reduce the chances of the cancer recurring. 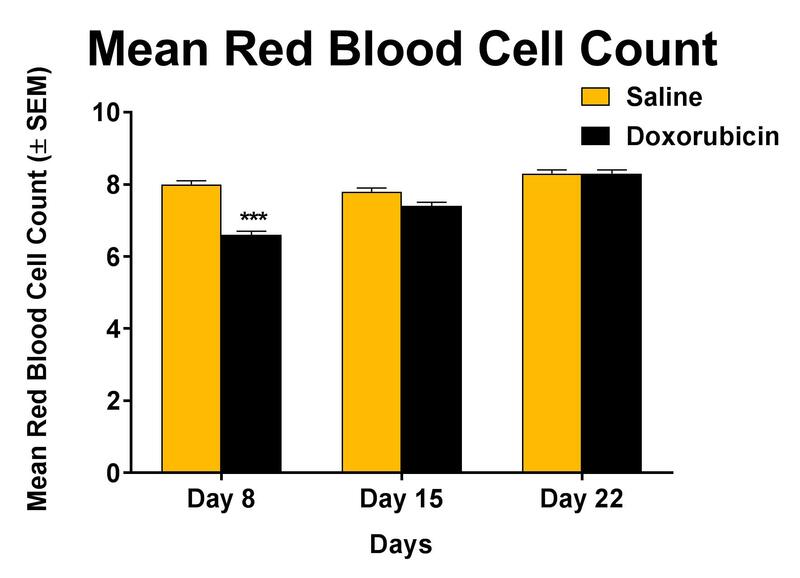 The impact of cytotoxic anti-cancer drugs can be evaluated in both rat and mouse models by evaluating the impact of drugs on blood counts (CBCs) and on bone marrow histology.